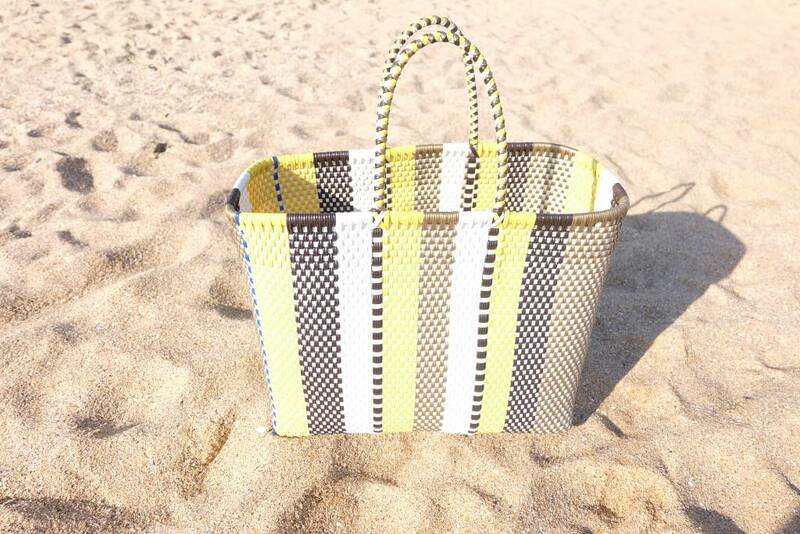 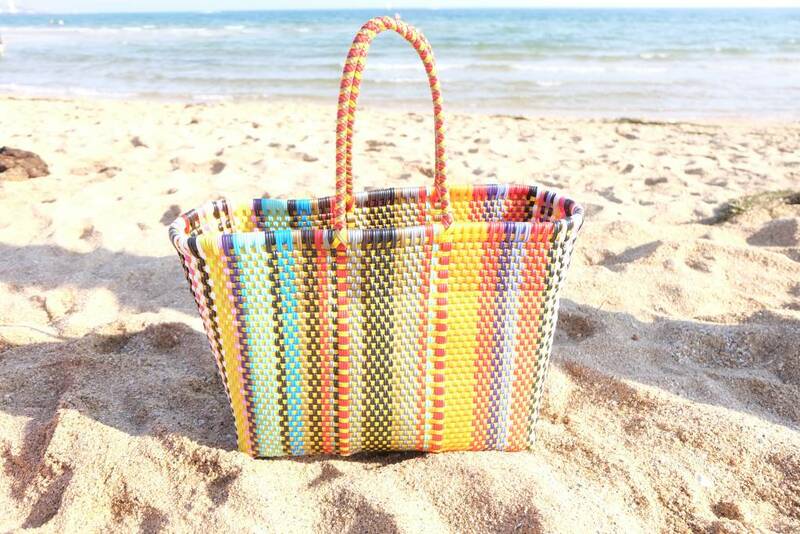 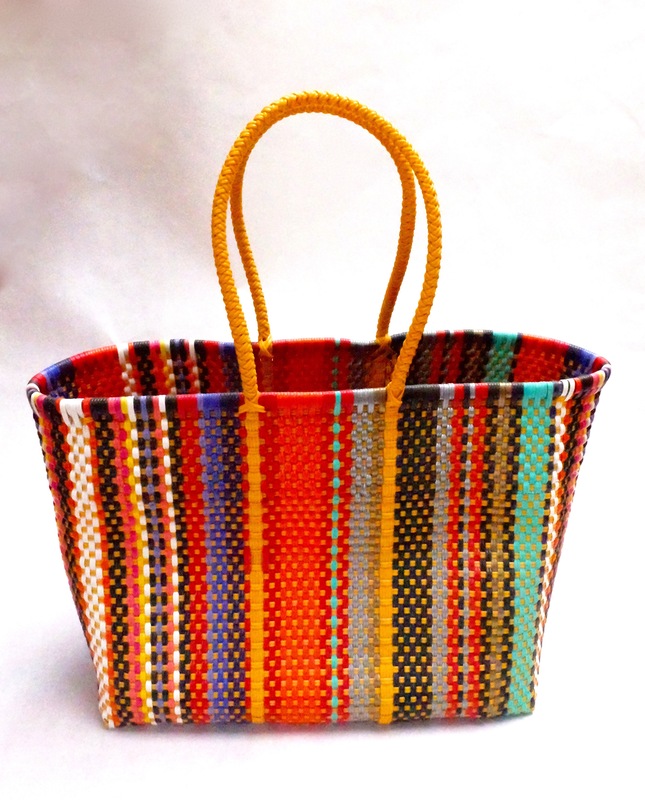 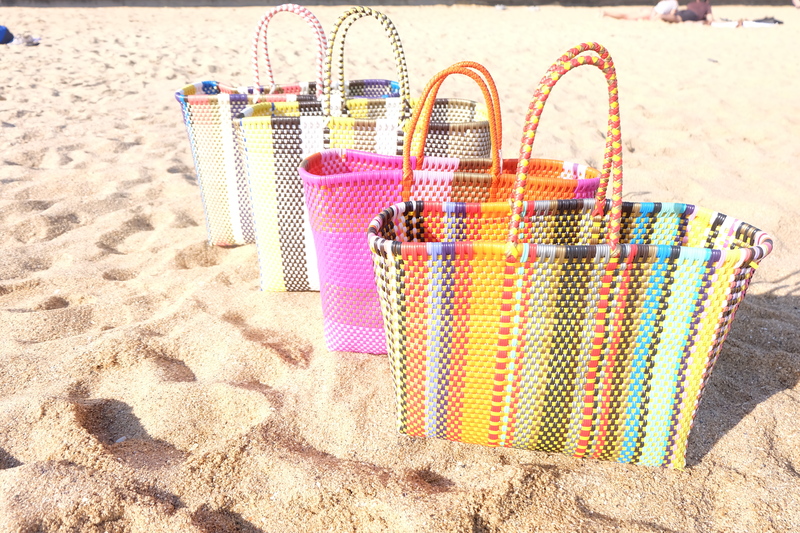 The kin ‘Hand-woven basket’ is made lovingly by hand with artisans in Mexico from flat plastic strapping. 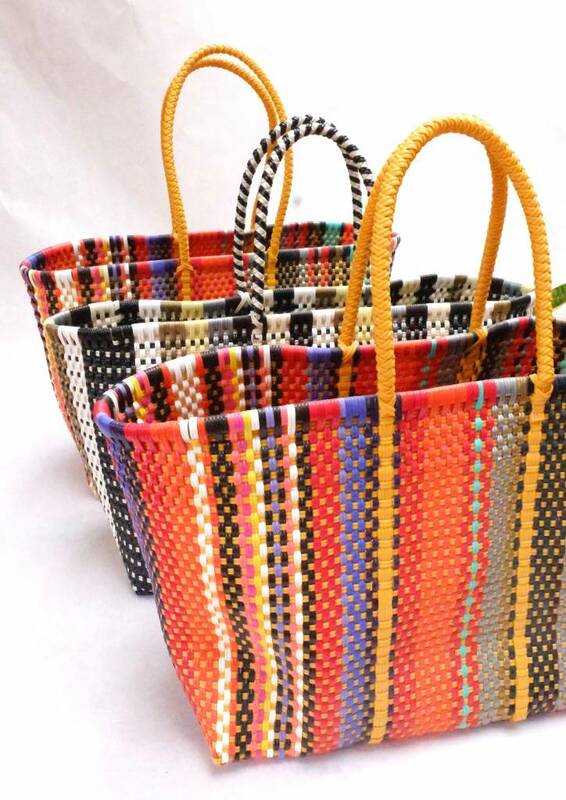 These are a kin collaboration with an initiative that works with women incarcerated at the Guadalajara Prison in Jalisco, Mexico. 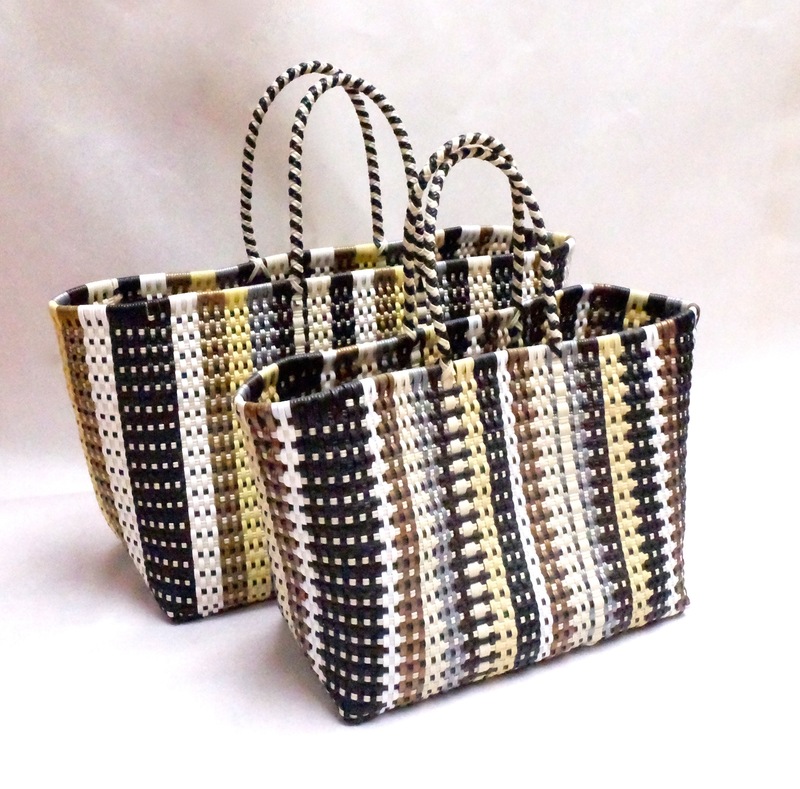 They are very durable and great for the beach, pool or shopping. Clean gently by hand with warm water, using a soft cloth and mild detergent.